The Dallas Cowboys just put their name in the hat for one of the NFC's top teams, ending the New Orleans Saints' 10-game win streak with a stunning 13-10 victory on Thursday Night Football. 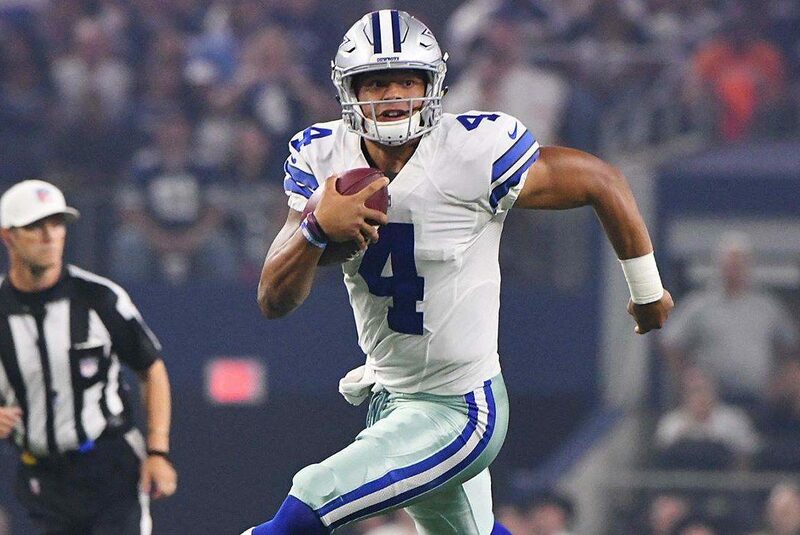 Dak Prescott had his best game of the year, completing 24-of-28 passes for 248 yards and a touchdown. But his best individual play was on the ground, converting a 3rd-an-10 play with an 11 yard run that showed his strength and determination. The Cowboys defense was the real star, though. They held the Saints to just 176 yards of offense, which included a first-half shutout. It was the first time that New Orleans was held scoreless in a first half in over four seasons. Dallas didn't score again after their 13-0 halftime lead, but they did enough on both sides of the ball to stop the Saints from coming back. It was the most impressive victory of the year for the Cowboys, who move to 7-5 on a now four-game winning streak. Ezekiel Elliott was held to just 76 rushing yards on 23 carries, but he also had six catches for 60 yards and the team's only touchdown. The Saints were committed to stopping Zeke and forcing Dak Prescott to win it, and that's exactly what Dak did. The defensive play of the game came on the Saints' final drive, an interception by CB Jourdan Lewis. An errant throw by Drew Brees looked headed for the turf, but Lewis dove underneath and secured the turnover. It set up the Cowboys to run out the clock. Amari Cooper led the team with eight catches for 75 yards. Michael Gallup chipped in 76 yards on five catches, and could have had a monster game if Dak had found him on a wide open deep ball. Leighton Vander Esch and Jaylon Smith co-starred on defense with 10 and nine tackles each. They both made big stops against Alvin Kamara. DeMarcus Lawrence had another sack tonight, taking him to 9.5 on the year. Tough night for Randy Gregory. He got hit with three bad penalties at various points, keeping the Saints' third quarter touchdown drive alive. He looked completely disheartened after the third flag, so I'm glad he didn't have to feel guilt over a loss. The Cowboys NFC East positioning should only improve now. The 6-5 Redskins are headed to Philly on Monday night.